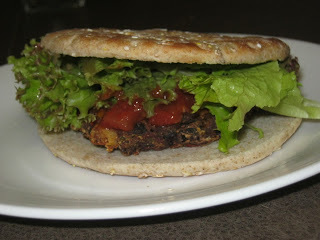 I absolutely love veggie burgers but never once have I attempted to make them myself. However with the lack of organic and vegan options offered at the nearby grocery store here in Orlando I soon grew frustrated of the tasteless soy burgers (the only vegan option) that stocked the store shelves, therefore I decided to try making my own version of veggie burgers using a melody of my favorite ingredients and spices. The delicious blend of southwestern flavor paired with the the creamy pureed black beans make for an exquisitely flavorful veggie patty. 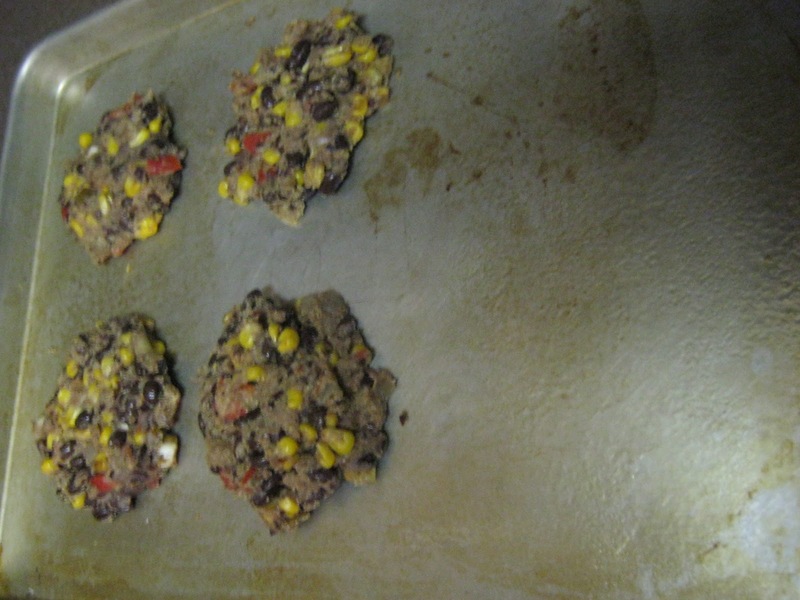 Plus adding the cornmeal to the mixture also helped to give these patties a crispy texture once baked. 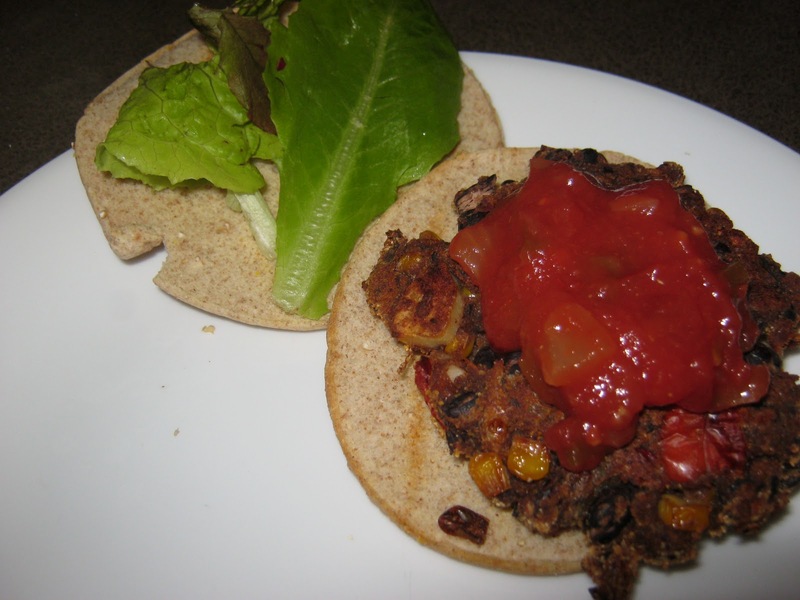 This healthy recipe is extremely easy to follow there’s not too much prep work involved and with a variety of alternative add ins you can really create a delicious vegetable burger catered specifically to your taste. Meanwhile drain and thoroughly rinse the black beans and divide them in half. 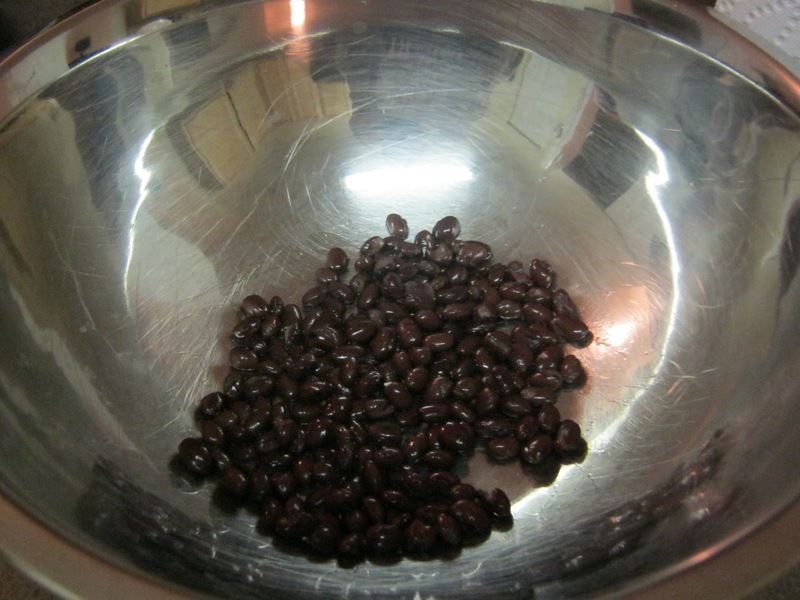 Set aside half the black beans in a large mixing bowl. Once burgers are cooked let cool for 3-5 minutes. Add lettuce and garnish with salsa for an extra kick! Looks good, going to try these. 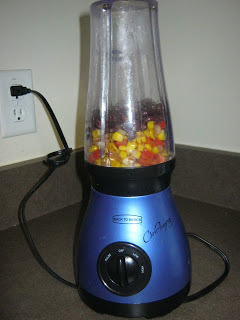 Haven’t thought about using corn and/or grinding up some of the mixture such as you’ve done and adding to the beans. Also haven’t tried the southwest spices in mine. These look great. Only thing is I am fat free so will have to figure out how to sautee the veges. I made these tonight. I loved the flavor! I did add some extras…mushrooms, turnips,and used almond meal instead of corn meal. I used more stuff to help thicken them up because mine were pretty soft. I just pureed stuff in the processor and it worked well. The recipe will be a regular in our house…thanks for sharing! Your menu sounds awesome, Stephanie. 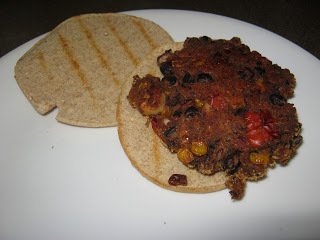 These Black Bean Burgers will not disappoint. Making this right now with oven “fried” sweet potato fries, corn on the cob, and peas. It smells so good! I calculated 790 for the entire recipe. Divided by 6 equals 131.66 calories per pattie. I’d like to stay away from the cornmeal or even breadcrumbs if I can. Anyone know if 1/4 of oats as a substitute would be enough of a binder? Or possibly Quinoa? I am going to try this. It sounds very good. I think I will try using veg. broth to saute’ my onions instead of spraying the pan, and I will try parchment paper instead of greasing the baking sheet. I am trying desperately hard to reduce my cholesterol and improve my heart health. Thank you so much for the recipe! I really do appreciate it very much!!!! Thank you! Love mushrooms. I’ll try mushrooms as a binder on next batch. Thanks for the post! Rather than using cornmeal,I have used finely chopped mushrooms in my vegetarian meat loaf in the past as a binder and it has worked wonderfully. You may want to try this for this burger. I certainly am. Finely chopped portabellos work great. I have used flavored breadcrumbs on multiple occasions. I think I may like it even better than the cornmeal. I think it would turn out better than walnuts. Do you have a substitution for the cornmeal? I have an allergy to corn. I was thinking walnuts, not sure want your opinion. With what are you greasing the pan with? Thanks. Looks tasty. I love veggie burgers as well. Mix is in the fridge. Will I be able to cook the patties on the grill? No one has mentioned the calorie count of 1 Pattie. Great recipe I tried this out tonight and everyone loved them! 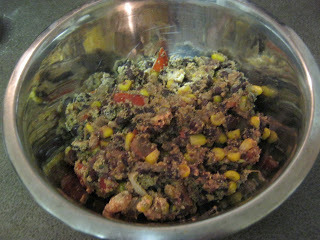 As Ben H said I would double the recipe and I also skipped the added oil as we are on the heart disease reversal diet. Thanks for sharing! Excellent. Double the recipe. You’ll be glad you did. How many servings does this make pretty please? Yes any kind of beans can be made into burgers, I suggest mashing them or combining them with other ingredients in a food processor! And I have a spicy chili recipe perfect for tacos on my blog! 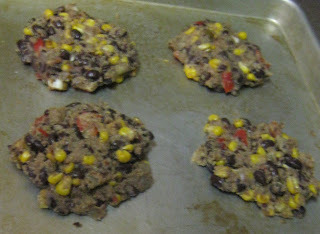 I am intrigued by the black bean burgers and am anxious to try making them. Can Maya Coba Beans or Pinto Beans be made into burgers? Also, what vegan recipes do you suggest for tacos? Do these freeze well? Looks sooo good! These were awesome! The recipe was perfect. I was in a rush and only had 30 minutes to let them sit in the fridge and they still held together and turned out great. Even my meat-eating boyfriend requested we have these again soon! Thank you! Bake on parchment baking paper for a completely fat free meal. 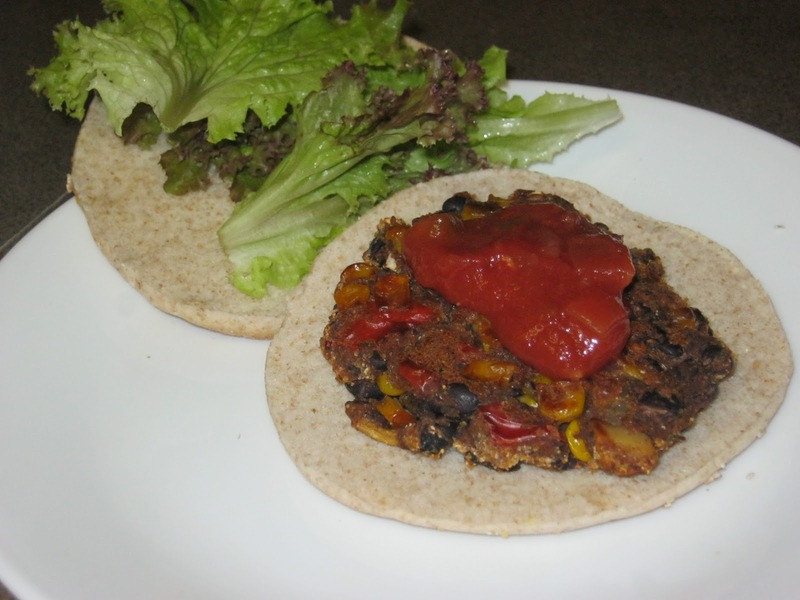 I make black bean burgers using a similar made-up recipe of my own. I saute my onions in water flavored with boullion and a nonstick pan. You don’t need any fat, plus you get added flavor. I mash the beans using a fork and add the corn whole. Instead of cornmeal, I use 1/4 C. of Panko and 1/4 C. of oatmeal. The rest of my recipe is very similar. We love my burgers! Lee NZ glad you enjoyed it! We had these for dinner last night. I just had the patties on my salad and my boys ate them as huge and hearty burgers. Very nice, thank you!! Your directions say that you will pulse 1/2 the beans and all of the sauteed veggies; however, in your picture, I see chunks of veggies AFTER mixing the remaining beans into the pureed mixture. 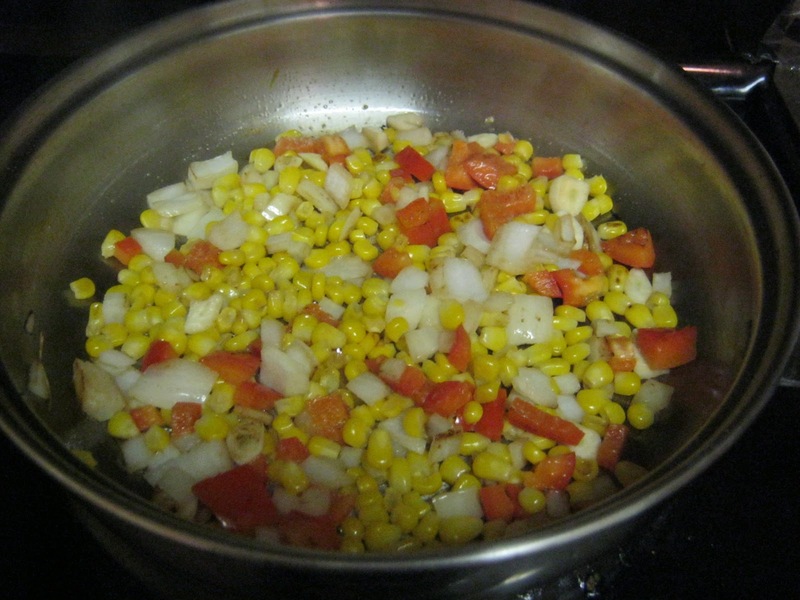 Did you add in more corn, onion, red bell peppers, etc. AFTER pulsing to give the patty more chunkiness? It looks great, but I just wanted to be sure. Thanks for sharing!!! I was so impressed with your tasty recipe I printed it out for myself. Mmm this looks really good! Am going to try it out as soon as the weather gets a bit warmer!